LaSalle Network’s Management Resources business unit is rapidly growing and seeking mid to senior-level professionals within accounting, finance, tax and audit for interim, project and consulting opportunities. If you have experience in a Financial Leadership role and are interested in interim and project based work, we would like to speak with you. 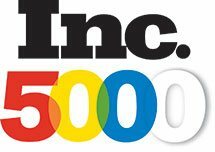 With 15% year over year organic growth, LaSalle was ranked on the Inc. 500/5000 List of Fastest Growing Private Companies in America for the 11th consecutive year. This is a distinction only 0.5% of the 2017 honorees can claim. LaSalle Network continues to grow. Come grow your experience and career with us. Apply now and we will connect you with one of our Project Managers to arrange a conversation. Keywords and Related Terms: accounting , finance , audit , tax , CPA , "certified public accountant" , "financial planning and analysis" , fp&a , SEC , "internal reporting" , "external reporting" , GAAP , IFRS , "asc 606" , "revenue recognition" , controller , cfo , "chief financial officer" , "director of finance" , "finance director" , director , "Vice President" , "VP finance"